Grand Teton National Park Description. Located in northwestern Wyoming, Grand Teton National Park protects stunning mountain scenery and a diverse array of wildlife. 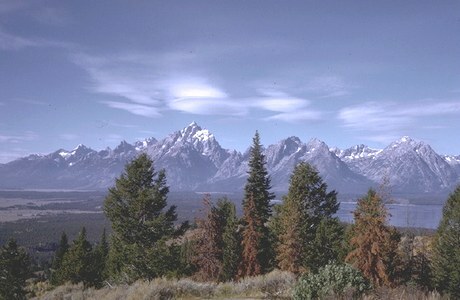 The central feature of the park is the Teton Range � an active, fault-block, 40-mile-long mountain front. The range includes eight peaks over 12,000 feet including the Grand Teton at 13,770 feet. Seven morainal lakes run along the base of the range, and more than 100 alpine lakes can be found in the backcountry.